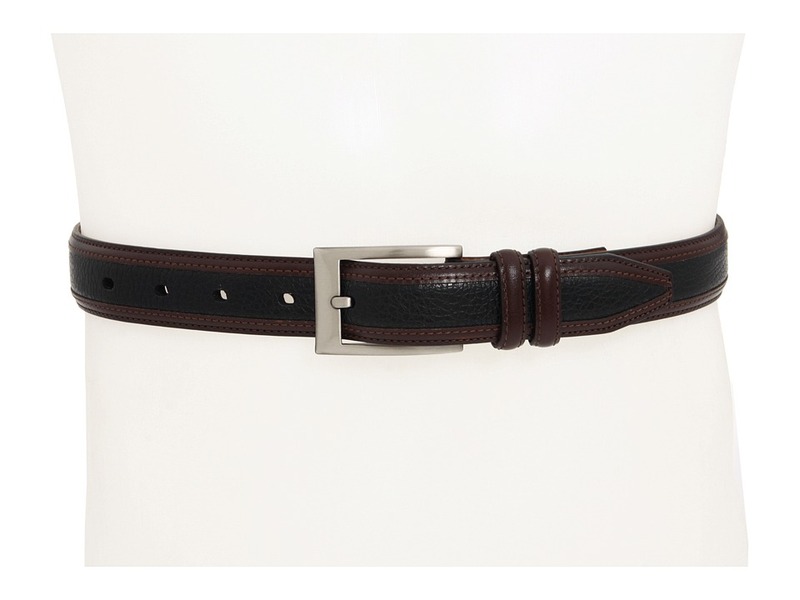 Complete your outfit in stunning style with the ~Deerskin Belt~ from Johnston Murphy. Crafted in smooth calf leather with deerskin inlay for a design that is timeless. Brushed oxidized-nickel buckle offers a secure fit and masculine appeal. The manufacturer recommends ordering one size up from your pant waist size. Measurements: Width: 1 1 4 in First Hole Length: 36 1 4 in Last Hole Length: 40 1 4 in Product measurements were taken using size 40. Please note that measurements may vary by size.